Last updated: July 26, 2018 at 7:57pm by Savanah – Last April, the House approved a bill by a 43-38 vote which would regulate online daily fantasy sports (DFS) betting, but it got shelved in the Senate. If this bill, or a similar bill, ever gets passed it would change the landscape since Alabama had DFS companies stop offering contests on May 1, 2016 since they deemed it illegal. This year could be the year to let voters decide on whether or not to have a state lottery. Alabama would be the 46th state to have a state lottery if it passes, and it would bring in roughly $80 million annually in net revenue. When it comes to gambling in the state of Alabama, they are pretty strict on their stance for the most part. Before we can start discussing which forms of gambling are legal and illegal, we must first look at the current laws they have in place. Looking at Alabama’s definition of gambling, it’s pretty clear to understand that sports betting is illegal since something of value is risked on an event while having no control over the outcome. What is not as clear is if poker falls under illegal gambling. Poker is widely debated as a game of skill, not chance, and a player does have control to an extent on the outcome. This is also why poker could fall under the category of illegal gambling because although there is some skill in poker, it also has some chance involved. When it comes to playing poker online, a whole new set of rules and discussions take place which makes things even more complicated to understand on what is and isn’t legal. 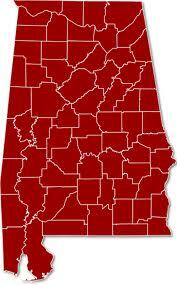 Will Alabama Regulate Online Poker? This is another difficult question to answer, but in the near future it’s looking like they won’t be. As for the long term, we at USpokerSites.us believe almost every state will regulate poker over the internet; it’s just a matter of time. However, there are no current bills with such literature at this point waiting to be approved. 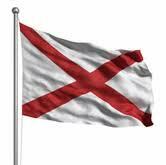 When Alabama, or any other state that hasn’t passed online poker, looks at regulating this activity another discussion will be about how to structure it. As in, will poker players only be able to play against other players within their state (intrastate poker), or will they be able to play against players in other states (interstate poker), or anyone within the United States (Federal level). It would make sense to make it nationwide, but with the heavy tax revenue that comes with it many states probably will have a different view. This just causes another roadblock and stalling point on regulating this complex concept. These are the three legal forms of gambling in Alabama, all with strict policies, rules and regulations to follow. Regarding other states in the USA, Wikipedia has a good article outlining the legal forms gambling allowed by each state (scroll about half way down). In 2013, over 1,600 electronic bingo machines were seized by the state at VictoryLand Casino (the only privately held casino in Alabama), causing it to close. After a lengthy court battle, VictoryLand Casino reopened on September 13, 2016. Pari-Mutuel Betting – This is another legal form of gambling within the state. Although pari-mutuel betting is slowly on the decline in popularity, it still has a rich history tied to it. Visit this link to find all the gambling laws on pari-mutuel wagering. Charitable Gaming – Anyone who wants to run a charitable gaming event must get a license from the Alabama Department of Revenue. Bingo halls are also popular in the state and are mostly run by non-profit charitable organizations. Even doing a bingo night for charity is under a close microscope since they have a six-step process which must be abided by. The article goes on to say how making commercial casinos legal and incorporating a state lottery, which would be taxed heavily, would significantly benefit the state in many important areas including education. They compare their state to their next door neighbor, Mississippi, which is raking in huge revenue from the taxation of these legal activities. You can’t blame them, they make great points in the article.